2015 was a great year for Aesthetic Medicine. The FDA approved more treatments and fillers, which means more choices for consumers. 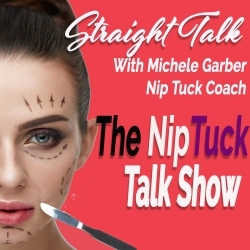 Host, Michele Garber discusses some of the hot topics in 2015 and shares predications an quotes from various plastic surgeons and dermatologists. This episode discusses body contouring, skin tightening, vaginal tightening, fillers and lasers. What you should know and consider before getting any of these treatments.